Although the young, rebuilding Utah Jazz are undefeated in preseason play this season, new coach Quin Snyder continues to temper expectations. Go ahead. Suggest that the Utah Jazz will be better than anticipated. Coach Quin Snyder is here to stop you in your tracks. There&apos;s cautious optimism, and then there are those with level heads. And when talking about a surprising 3-0 start to the preseason for the Jazz, Snyder is quick to put things in a bit of perspective. "It&apos;s just preseason," Snyder said. "The games get much harder when they start to count." That could very well be true. The Jazz could still end up being the 24-win team predicted of them by the oddsmakers in Las Vegas. But following a 102-89 victory over the Los Angeles Clippers on Monday night, even the most pessimistic person can see that Utah could be a bit ahead of schedule. Two wins over the Portland Trail Blazers last week can easily be explained. The Blazers&apos; starters played about 20 minutes in each game. Star point guard Damian Lillard didn&apos;t suit up on Thursday night. 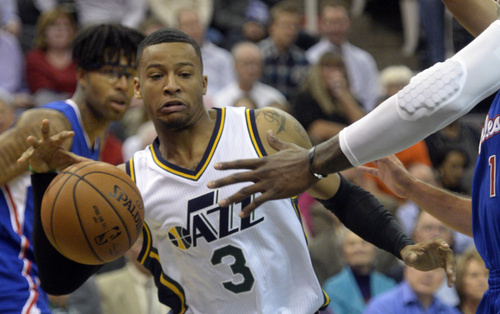 The Jazz overcame a nine-point fourth-quarter deficit against Portland&apos;s deep reserves. But Monday&apos;s victory over the Clippers had a different feel. Coach Doc Rivers played his starters almost 30 minutes each. Chris Paul and Blake Griffin were visibly competitive in the third quarter, and Griffin looked regular-season ready with 31 points and five rebounds. It was a win that had a head-turning vibe. 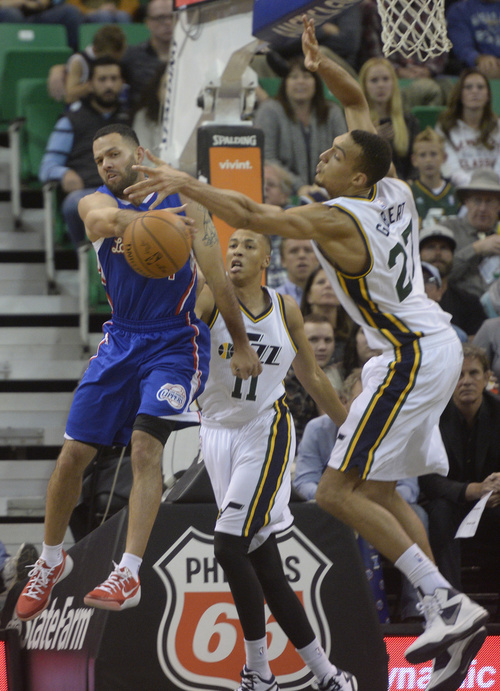 "It was a good measuring stick," Jazz point guard Trey Burke said. "We knew in the third quarter it was going to be tough for us. But we have to soak it in and get better from it the next day and the next." And so the balancing act begins. Plenty of teams have looked like world beaters in the preseason, only to falter when the games began to count in the standings. In addition to trying to get a young club prepared for the grind, Snyder now has to deal with the element of hope in his fan base. That can be difficult for a rookie coach. So he&apos;s been quick to quell expectations of extended success during the regular season. How? Let&apos;s just say he isn&apos;t planning to sell playoff tickets just yet. "It&apos;s a long process and we have a long way to go," Snyder said. "It&apos;s the preseason and teams aren&apos;t approaching the preseason the way we are. That&apos;s not to say they&apos;re not competing. They&apos;re just in a different place than we are. The Clippers are contending for an NBA championship, and we&apos;re trying to grow and get better and play the game the right way." Even so, the signs so far have been largely positive. Burke, in his second season, appears to have taken a significant step forward at the point. Alec Burks and Gordon Hayward have been sometimes explosive on the wings, while Enes Kanter and Derrick Favors have been solid inside. 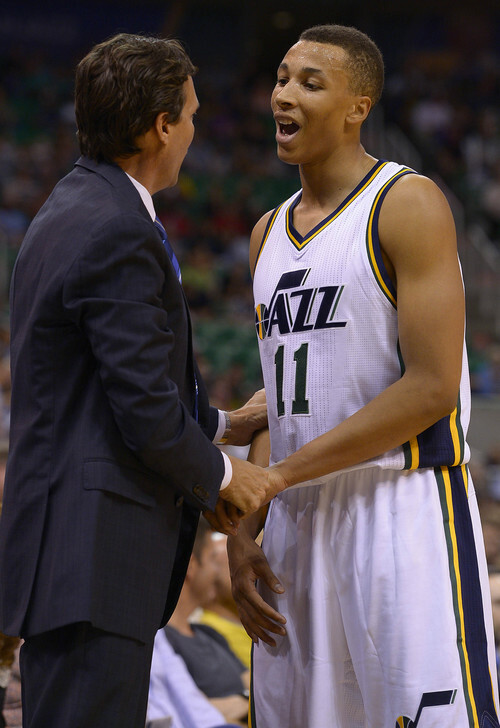 Rodney Hood scored 12 points in his debut on Monday night, and Rudy Gobert is building upon an eye-opening summer. Plus, the offense, thought to be a work in progress, is moving much smoother than first thought. 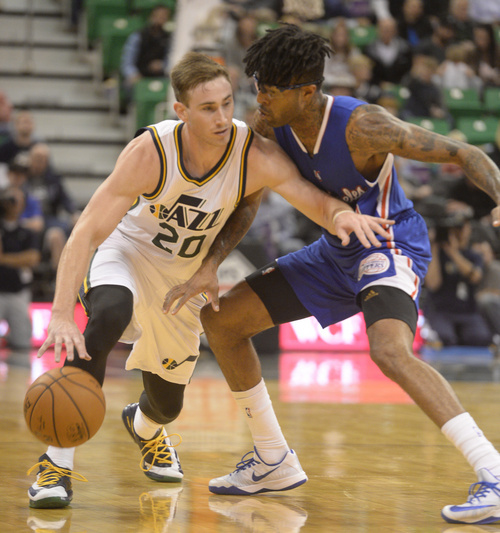 "We&apos;re working and we&apos;re building," Hayward said. "We know that we have a ways to go, and that we have a lot of work to do. I think three games in a preseason is too small of a sample size. We need more time." There are concerns as well. 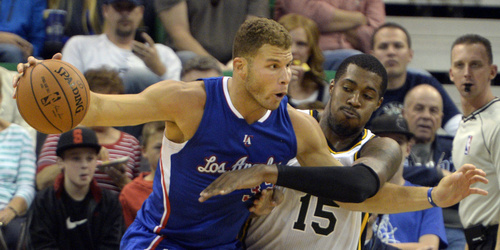 Both Griffin and Portland power forward LaMarcus Aldridge decimated the Jazz, scoring at will in the paint. 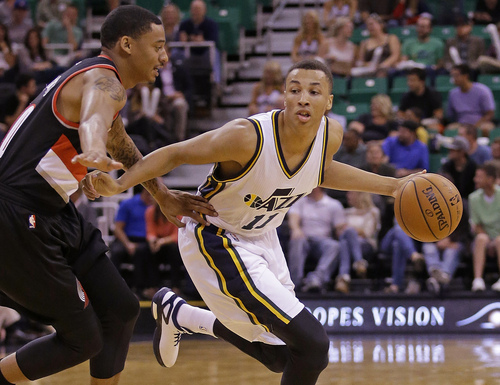 Rookie point guard Dante Exum had a horrific eight turnovers on Monday, trying to handle the ball against Paul. And this Jazz team has yet to experience a back-to-back, or a hostile road environment. Much of what they&apos;ve faced so far has been pretty vanilla. Snyder is happy with the ball movement. He&apos;s not happy with defensive transition. He&apos;s happy that this team appears unselfish. He worries about the youth, and knows that trouble spots are ahead. But 3-0  even in the preseason  has turned at least a few heads. And now people are starting to wonder if the Utah Jazz will be better than advertised. In many ways, it&apos;s a question that can only be answered through the grind of the regular season. And that&apos;s when it all counts. 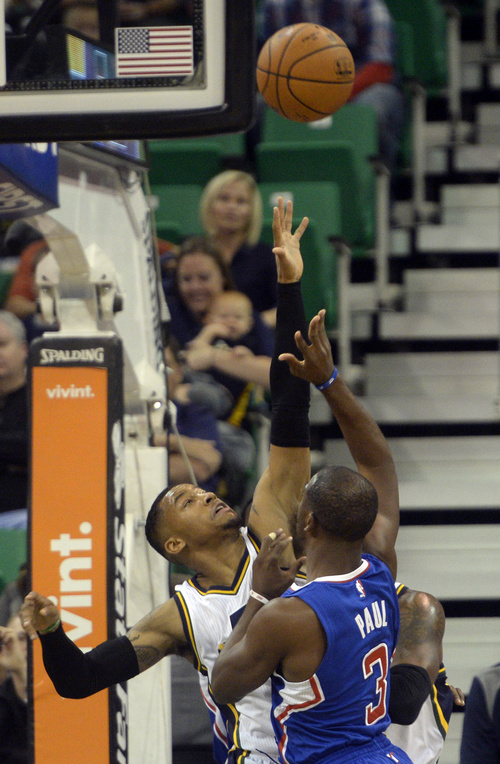 • The Jazz rallied from a nine-point deficit in the fourth quarter at Portland. • Rudy Gobert grabbed a preseason-high 20 rebounds on Monday night. 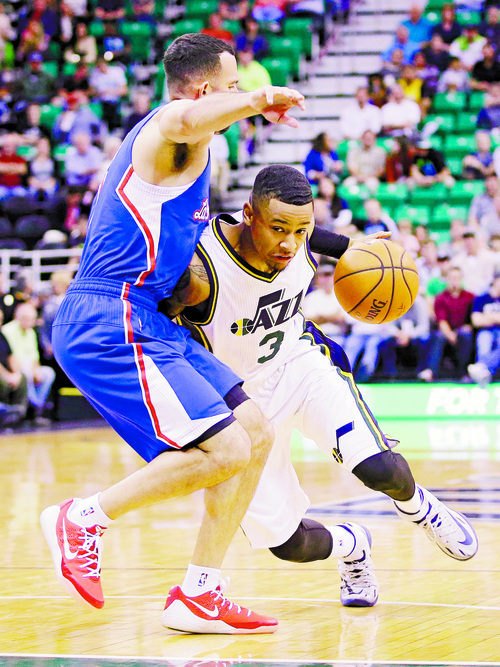 • Trey Burke has led Utah in scoring each preseason game. • Derrick Favors has two double-doubles in the preseason. • The last time the Jazz were 3-0 in the preseason was 2010-2011.